Because of its relative abundance of fruit-growing and hop gardens, Kent is known as 'The Garden of England'. The title was defended in 2006 when a survey of beautiful counties by the UKTV Style Gardens channel put Kent in fifth place, behind North Yorkshire, Devon, Derbyshire and Gloucestershire. Kent's economy is greatly diversified. Haulage, logistics, and tourism are major industries; major industries in north-west Kent include aggregate building materials, printing and scientific research. Coal mining has also played its part in Kent's industrial heritage. Large parts of Kent are within the London commuter belt and its strong transport connections to the capital and the nearby continent makes Kent a high income county. 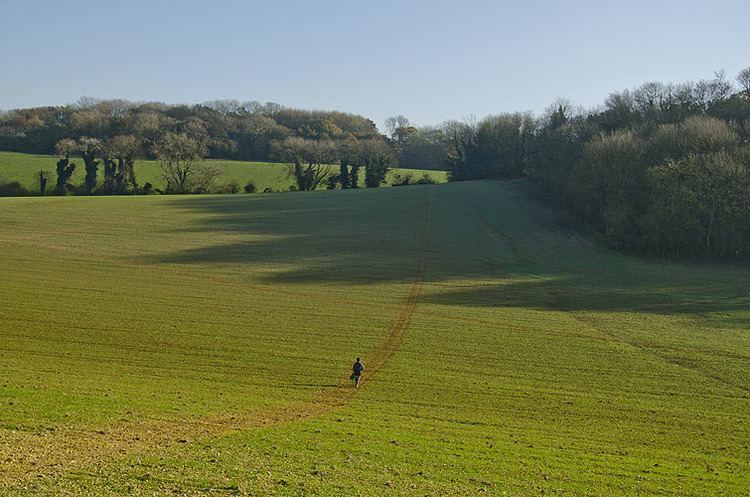 Twenty-eight per cent of the county forms part of two Areas of Outstanding Natural Beauty: the North Downs and The High Weald. The name Kent is believed to be of British Celtic origin and was known in Old English as Cent, Cent lond, Centrice. In Latin sources Kent is mentioned as Cantia, Canticum. The meaning is explained by some researchers as "coastal district," or "corner-land, land on the edge" (compare Welsh cant "bordering of a circle, tire, edge," Breton cant "circle"). If so, the name could be related to the same ancient word as the name of Cantabria, a coastal province in Spain. The modern name of Kent is derived from the Brythonic word kantos meaning "rim" or "border" or maybe from a homonymous word kanto "horn, hook" (< PIE *kn̥g-tó, cfr. cornwall < cornus "horn"). This describes the eastern part of the current county area as a border land or coastal district. Julius Caesar had described the area as Cantium, or home of the Cantiaci in 51 BC. The extreme west of the modern county was by the time of Roman Britain occupied by Iron Age tribes, known as the Regnenses. In 597, Pope Gregory I appointed the religious missionary (who became Saint Augustine of Canterbury after his death) as the first Archbishop of Canterbury. In the previous year, Augustine successfully converted the pagan King Æthelberht of Kent to Christianity. The Diocese of Canterbury became Britain's first Episcopal See with first cathedral and has since remained England's centre of Christianity. The second designated English cathedral was in Kent at Rochester Cathedral. In the 11th century, the people of Kent adopted the motto Invicta, meaning "undefeated". This naming followed the invasion of Britain by William of Normandy. The Kent people's continued resistance against the Normans led to Kent's designation as a semi-autonomous county palatine in 1067. Under the nominal rule of William's half-brother Odo of Bayeux, the county was granted similar powers to those granted in the areas bordering Wales and Scotland. Kent was traditionally partitioned into East and West Kent, and into lathes and hundreds. During the medieval and early modern period, Kent played a major role in several of England's most notable rebellions, including the Peasants' Revolt of 1381, led by Wat Tyler, Jack Cade's Kent rebellion of 1450, and Wyatt's Rebellion of 1554 against Queen Mary I. In 1889, the County of London was created and it took over responsibility for local administration of parts of north-west Kent. This included the towns of Deptford, Greenwich, Woolwich, Lee, Eltham, Charlton, Kidbrooke and Lewisham. In 1900 the area of Penge was gained. Some of Kent is contiguous with the Greater London sprawl, notably parts of Dartford. During World War II, much of the Battle of Britain was fought in the skies over the county. Between June 1944 and March 1945, over 10,000 V1 flying bombs or "Doodlebugs", were fired toward London from bases in Northern France. Although many were destroyed by aircraft, anti-aircraft guns, and barrage balloons, both London and Kent were hit by around 2,500 of these bombs. After the war, Kent's borders changed several more times. In 1965 the London boroughs of Bromley and Bexley were created from nine towns formerly in Kent. In 1998, Rochester, Chatham, Gillingham, and Rainham left the administrative county of Kent to form the Unitary Authority of Medway. During this reorganisation, through an "apparent" administrative oversight, the city of Rochester lost its official city status. In 2016 consultations began between five Kent local authorities (Canterbury, Thanet, Dover, Shepway and Ashford) with a view to forming a new Unitary Authority for East Kent, outside the auspices of Kent County Council. For almost nine centuries a small part of present-day East London (the North Woolwich, London E16 area), formed part of Kent. The most likely reason for this is that in 1086 Hamon, dapifer and Sheriff of Kent, owned the manor and, perhaps illegally, annexed it to Kent. It ceased to be considered part of the county in 1965 upon creation of the London Borough of Newham. The Wealden dome is a Mesozoic structure lying on a Palaeozoic foundation, which can often create the right conditions for coal formation. 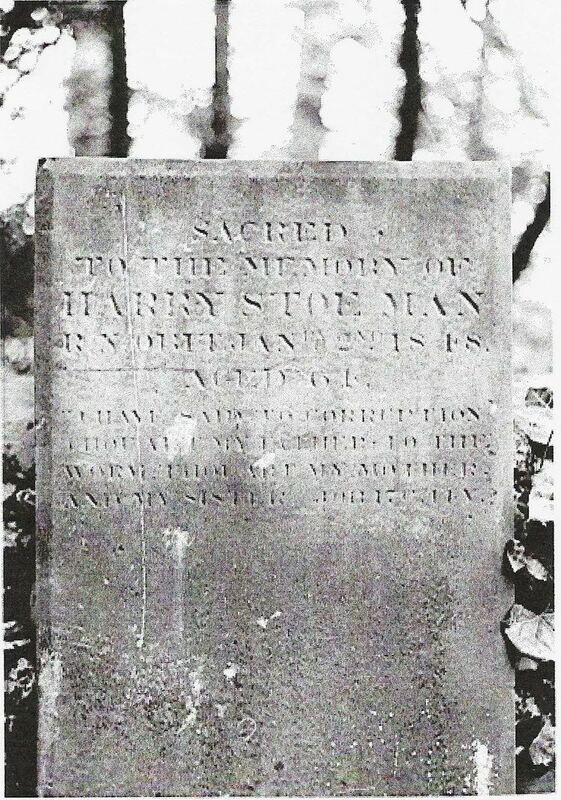 This is found in East Kent roughly between Deal, Canterbury, and Dover. The Coal Measures within the Westphalian Sandstone are deep about 250–400 m (820–1,310 ft) and subject to flooding. They occur in two major troughs, which extend under the English Channel where similar coalfields are located. Cement-making, papermaking, and coal-mining were important industries in Kent during the 19th and 20th century. Cement came to the fore in the 19th century when massive building projects were undertaken. The ready supply of chalk and huge pits between Stone and Gravesend bear testament to that industry. There were also other workings around Burham on the tidal Medway. The west of the county (including Tunbridge Wells, Tonbridge and Sevenoaks) has less than 50% of the average claimant count for low incomes or worklessness as the coastal districts of Dover, Shepway (main conurbation: Folkestone and Hythe) and Thanet (chiefly three resorts: Ramsgate, Broadstairs and Margate). West and Central Kent has long had many City of London commuters. Since the Channel Tunnel Rail Link improvements of 2009 to High Speed 1, services from Ebbsfleet near Dartford and from Ashford have become frequent, express to Central London, Paris and Brussels. Kent's geographical location between the Straits of Dover and London has impacted its architecture, as has its cretacious geology and its good farming land and fine building clays. 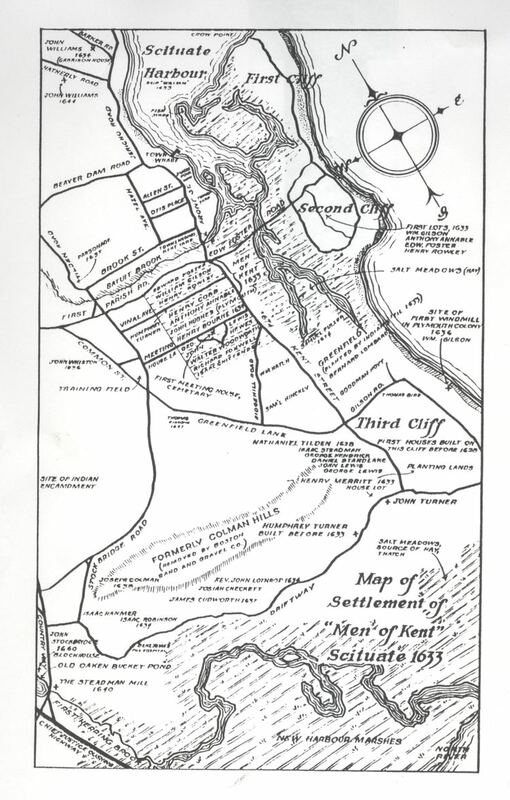 Kent's countryside pattern was determined by a gavelkind inheritance system that generated a proliferation of small settlements. There was no open-field system, and the large tracts were owned by the two great abbeys, Christ Church, Canterbury and St Augustine's Abbey, that did not pass into the hands of the king during the Reformation. Canterbury Cathedral is the United Kingdom's metropolitan cathedral; it was founded in AD 598 and displays architecture from all periods. There are nine Anglo-Saxon churches in Kent. Rochester Cathedral is England's second oldest cathedral, the present building built in the Early English Style. These two dioceses ensured that every village had a parish church. The sites of Richborough Castle and Dover Castle, along with two strategic sites along Watling Street, were fortified by the Romans and Normans. Other important sites include Canterbury city walls and Rochester Castle. There remained a need to defend London and thus Kent. Deal Castle, Walmer Castle, Sandown Castle (whose remains were eroded by the sea in the 1990s) were constructed in late mediaeval times, and HM Dockyard, at Chatham and its surrounding castles and forts—Upnor Castle, Great Lines, and Fort Amherst—more recently. The Bluewater shopping centre is the United Kingdom's largest shopping mall. 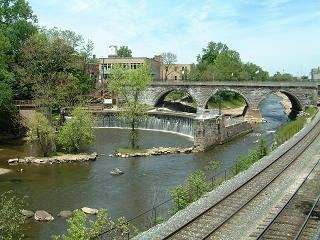 Kent has provided inspiration for several notable writers and artists. Canterbury's religious role gave rise to Chaucer's Canterbury Tales, a key development in the English language. The father of novelist Charles Dickens worked at the Chatham Dockyard; in many of his books, the celebrated novelist featured the scenery of Chatham, Rochester, and the Cliffe marshes. During the late 1930s, Nobel Prize-awarded novelist William Golding worked as a teacher at Maidstone Grammar School, where he met his future wife Ann Brookfield. Kent was also the location of the largest number of art schools in the country during the nineteenth century, estimated by the art historian David Haste, to approach two hundred. This is believed to be the result of Kent being a front line county during the Napoleonic Wars. At this time, before the invention of photography, draughtsman were used to draw maps and topographical representations of the fields of battle, and after the wars ended many of these settled permanently in the county in which they had been based. Once the idea of art schools had been established, even in small towns in Kent, the tradition continued, although most of the schools were very small one man operations, each teaching a small number of daughters of the upper classes how to draw and make watercolour paintings. Nonetheless, some of these small art schools developed into much larger organisations, including Canterbury College of Art, founded by Thomas Sidney Cooper in 1868, which is today the University for the Creative Arts. The county's largest theatre is the Marlowe Theatre, situated in the centre of Canterbury. Other venues for live music include Leas Cliff Hall in Folkestone and the Assembly Hall in Tunbridge Wells. With the Roman invasion, a road network was constructed to connect London to the Channel ports of Dover, Lympne and Richborough. The London–Dover road was Watling Street. These roads are now approximately the A2, B2068, A257, and the A28. The A2 runs through Dartford (A207), Gravesend, Rochester, Canterbury and Dover; the A20 through Eltham, Wrotham, Maidstone, Charing, Ashford. Hythe, Folkestone and Dover; the A21 around Sevenoaks, Tonbridge, Tunbridge Wells and on to Hastings in East Sussex. In the 1960s, two motorways were built; the M2 from Medway to Faversham, and the M20 from Swanley to Folkestone. Part of the M25 runs through Kent, from Westerham to the Kent and Essex tunnel at Dartford. The Dartford tunnel has been joined by the Queen Elizabeth II Bridge, together providing four lanes in each direction. The M26 motorway, built in 1980, provides a short link between the M25 at Sevenoaks and the M20 near Wrotham. Kent currently has more motorways by distance than any other county in the UK, with sections of the M2, M20, M25 and M26 totalling 173 km (107 mi) within the extents of the ceremonial county. The medieval Cinque Ports, except for the Port of Dover, have all now silted up. The Medway Estuary has been an important port and naval base for 500 years. The River Medway is tidal up to Allington and navigable up to Tonbridge. Kent's two canals are the Royal Military Canal between Hythe and Rye, which still exists, and the Thames and Medway Canal between Strood and Gravesend. Built in 1824, it was purchased in 1846 by the railways, which partially backfilled it. Container ports are located at Ramsgate and Thamesport. A limited number of charter flights are provided by London Ashford Airport at Lydd. However, most passengers across the South East use the larger Heathrow, Gatwick, Stansted and Luton airports. In 2002, it was revealed that the government was considering building a new four-runway airport on the marshland near the village of Cliffe on Hoo Peninsula. This plan was dropped in 2003 following protests by cultural and environmental groups. However further plans for a Thames Estuary Airport on the Kent coast have subsequently emerged, including the Thames Hub Airport, again sited on the Isle of Grain and designed by Lord Foster, and the London Britannia Airport plan, colloquially known as "Boris Island" due to its being championed by the former Mayor of London Boris Johnson, which would see a six runway airport built on an artificial island to be located towards the Shivering Sands area, north-east of Whitstable. Both of these options were dropped in 2014 in favour of expansion at either Gatwick or Heathrow Airport, the latter finally being the chosen option following Theresa May's installation as Prime Minister in summer 2016. In association football, Kent's highest ranked football team is Gillingham FC, who play in Football League One. Maidstone United were a Football League side from 1989 until going bankrupt in 1992. Kent clubs in the higher levels of non-league football include the current incarnation of Maidstone United and Dover Athletic playing in the National League and Dartford, Ebbsfleet United and Margate all playing in National League South, the sixth tier of the English football pyramid. Kent is represented in cricket by Kent County Cricket Club. The club was a founder member of the County Championship in 1890 and have won the competition, the major domestic first-class cricket competition, seven times. They are based at the St Lawrence Ground in Canterbury and also play matches at the Nevill Ground in Royal Tunbridge Wells and the County Cricket Ground, Beckenham. The Kent Women cricket team has won the Women's County Championship seven times since it was established in 1997. Cricket has traditionally been a popular sport in the county and Kent is considered one of the locations in which the game first developed. Teams have represented the county since the early 18th century. The Kent Cricket League is the top level of club competition within Kent and features teams from throughout the county, including areas such as Beckenham and Bexley which were formerly part of the county. Much of Kent is served by the BBC's South East region, which is based in Tunbridge Wells and provides local news for the county and East Sussex. Its commercial rival is ITV Meridian Ltd, which has a newsroom at The Maidstone Studios despite the main studio being based in Hampshire. Main transmitters providing these services are located at West Hougham, near Dover and Blue Bell Hill, located between Chatham and Maidstone. A powerful relay transmitter at Tunbridge Wells serves the town and surrounding area. Those parts of Kent closest to London such as Swanley, Westerham, Dartford, Gravesend and Sevenoaks lie within the ITV London and BBC London areas, taking their television signals from the Crystal Palace transmitter. Kent has three county-wide stations – BBC Radio Kent, based in Tunbridge Wells; and the commercial stations Heart and Gold, both based in Whitstable and London. The county has eight community radio stations run by various organisations.